This time it's Laura's design and what a cute design it is, with no introduction necessary. It's iconic and easily recognisable. I selected the fabrics and decided that the red needed a pattern, snowflakes seemed perfect for this with Santa delivering on a snowy Christmas night. Fabric selected, although I would have liked a gold fabric for Santa's buckle, I don't have any in my stash! I can't get past this pattern looking like its been printed off centre?! Although looking at the selvedge edge the print seems straight. Laura's instructions are well written and the block goes together easily, not one seam unpicked or redone this time! I love this block, but not my fabric choices unfortunately. Every time I look at it I see the fabric print off centre. 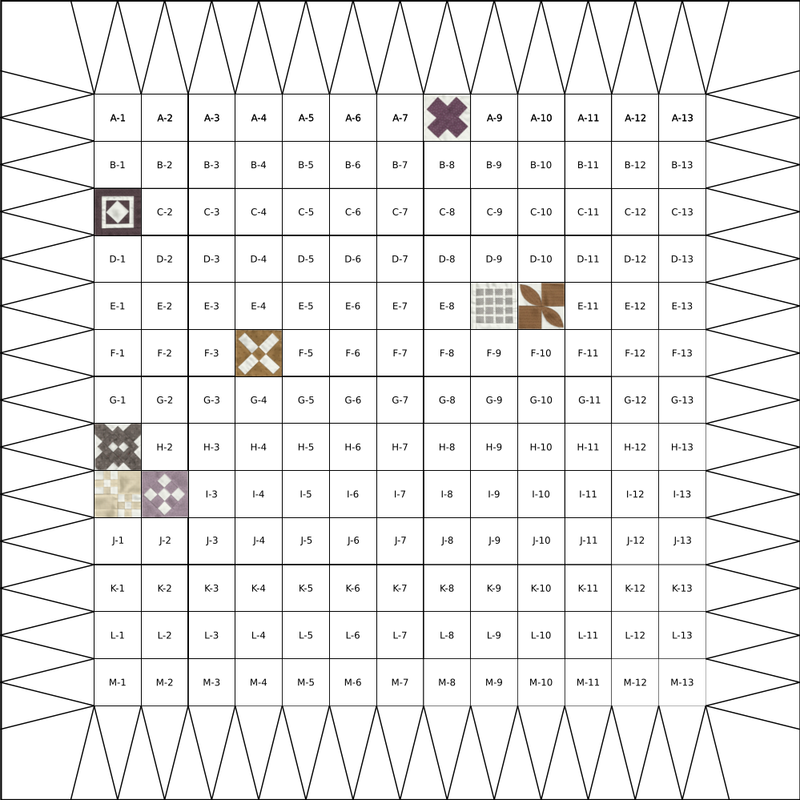 I will probably do another block for the quilt and use this one elsewhere. Good solution. 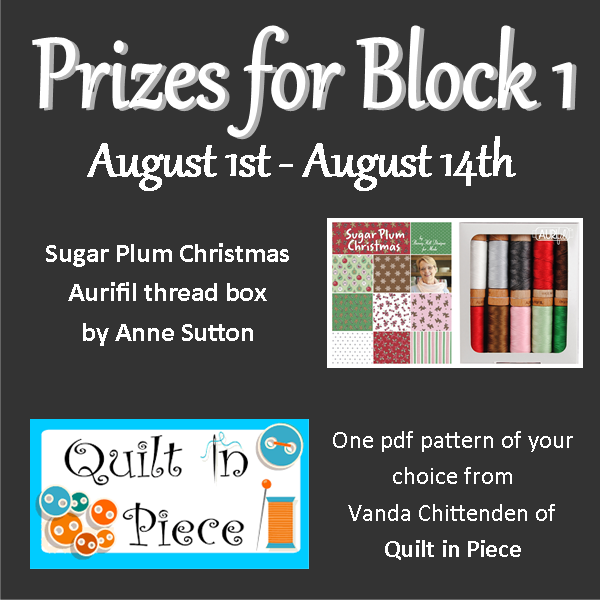 You must share your finished block to be entered into the prize draw! This can be done in one of the following ways. Prizes for this block are. Here we are already with block 2 of the Christmas Quilt Along! This one has been designed by April from JandABendQuilts you can check out her website for a full tutorial of the block. I decided to go with the pieced blocks even though April has offered a variety of techniques for completing her block. Eight little trees, cut and ready for sewing! These little trees fit together like a charm. Finished. I am quite taken with this block. 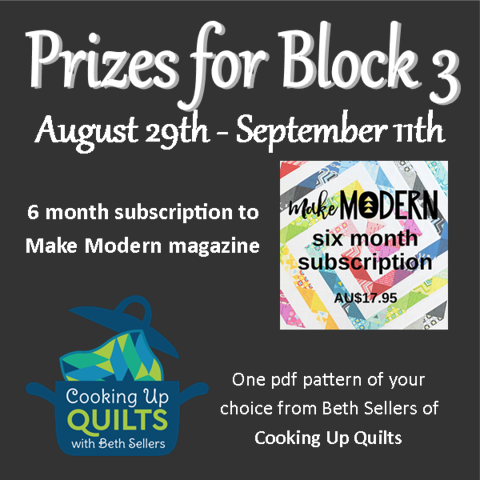 The next blocks for the 'Quilt A Long' will be released on August 29th and hosted by Laura Piland at Slice of Pi Quilts and Jennifer Fulton the Inquiring Quilter. We have two released this week in order to finish the quilt in time for Christmas. 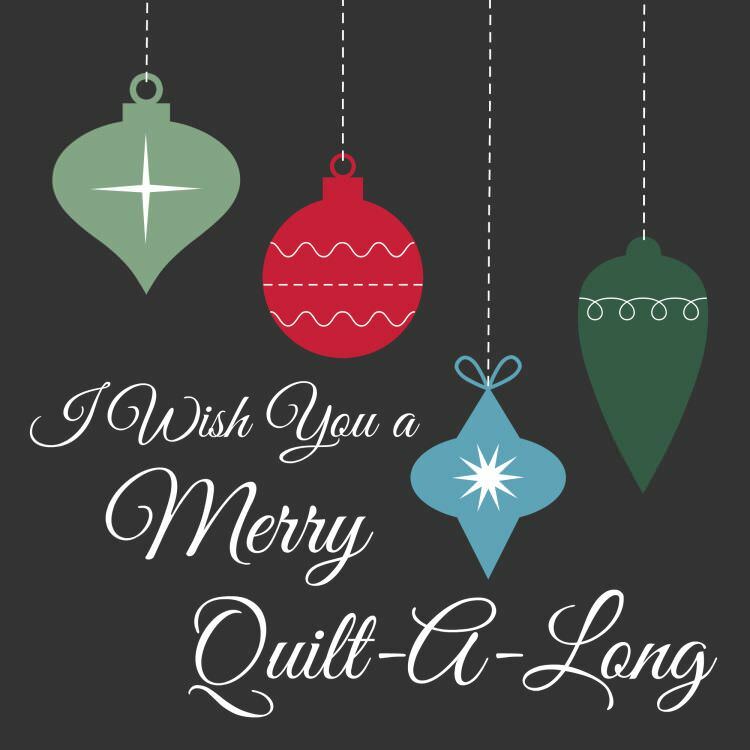 Welcome to block one of the Christmas Quilt Along! This sweet snowflake block was designed by Vanda Chittenden, the tutorial can be found over at her website Quilt in Peace. Here is my version of Vanda's block. 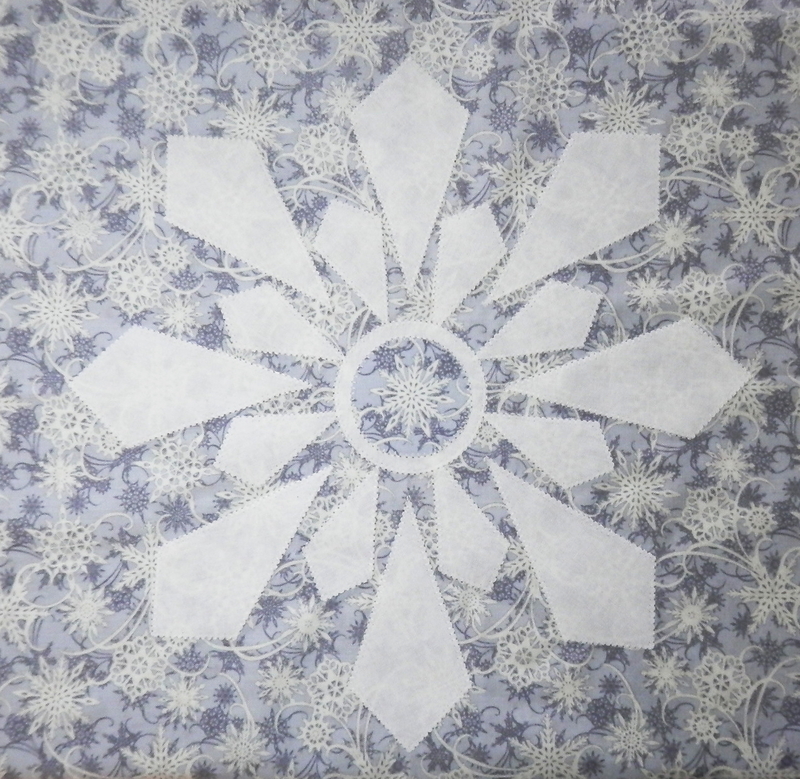 I have chosen to use a grey background fabric with a snowflake pattern to emphasise Vanda's design. I had originally planned to do needle turn applique on this block, I love the clean lines of this particular method of applying layers of fabric to build a picture, which is why my printed template pieces have a seam allowance around them. Realising however just how long this would take I decided to use fusable web and edge stitch the pieces down for this particular block. Having cut out all the pieces for the block and placed them according to Vanda's instructions, I decided to pin them in place and remove the paper backing and press the pieces one a time. This is a little tip I have picked up along the way and works like a charm. Instead of trying to pick apart the paper backing from the fabric at the edges, which can sometimes result in them fraying (especially around delicate areas such as points), I use a pin or a needle to score the paper lightly, this way the paper can be peeled from the centre of the piece, leaving the edges intact. I decided to use a blanket stitch on my machine to finish the edges of the pieces. A close up of the finished block, complete with blanket stitch edges. This was such a lovely block to make, it was straightforward thanks to the detailed instructions provided by Vanda! 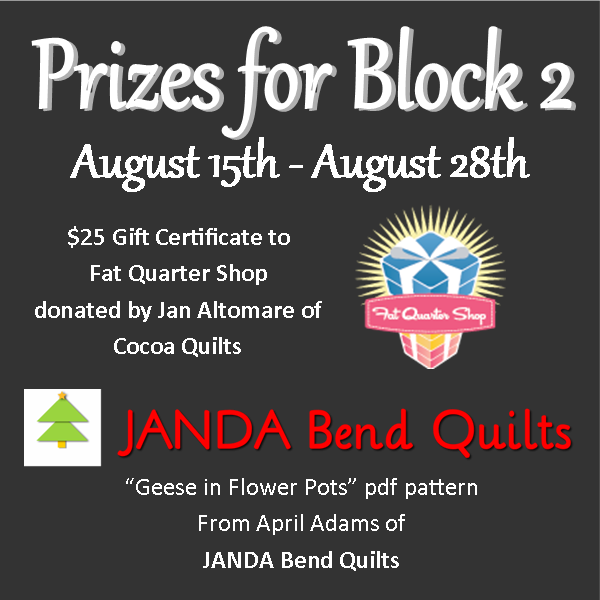 The next block featured in the 'Quilt A Long' will be August 15th hosted by April Adams at JANDA Bend quilts.